I don't know why it took me so long to put up a review on Villa Spiza, a great little eatery in Split. It's been on our list of the best restaurants in Split for a long time. I use any chance I've got to visit Split. It's high on a list of my favorite places in Croatia. If you want to experience a real Dalmatian life style, then Split is THE place to visit. And if you want to experience a real Dalmatian home-cooking, then Villa Spiza is THE place to eat. A charming local place, unique and different from any other place in the world, with a friendly and warm atmosphere, and incredibly tasty food, Villa Spiza offers a great experience that goes beyond the meal. Tiny eatery tucked away in an alley in Split's historical downtown, Villa Spiza can accommodate only 10 people. Fifteen would be a stretch. Run by two sisters Gamulin, the restaurant is centered around a long counter. Eating at the counter makes you feel almost at home as you watch them prepare food in front of you. Villa Spiza is a tiny little place that's very popular among locals. It's also getting very popular among tourists in search of an authentic place with simple, but tasty comfort food. So, to get a place at Villa Spiza is kind of a gamble. However, people seem considerate and the tables turn quickly. You'll certainly need to queue, especially if you try to secure a place at lunch or diner hours. But, trust me, the meal at Villa Spiza is totally worth the wait. A daily menu, handwritten on a page ripped out of a notepad and clipped to a clipboard, was trailing at the counter near the entrance door. The regulars kept coming in, reaching for it, reading it, and then after exchanging few words with hosts, staying or leaving the place. It looked like a daily ritual. That day at Villa Spiza we could choose: juha od tikve (pumpkin soup), polpete u tocu s pireom (meat balls in a tomatoe sauce with mashed potatoes); fazol s kobasicom (beans with a sausage); kiseli kupus s kobasicom (sauerkraut with a sausage); tuna s gradela s blitvom (grilled tuna steak with swiss chard); tuna salad; lešo junetina (boiled baby beaf); janjeće bržole (lamb chops), bruschette alla umbra, pileća pašteta (chicken pâté), and a choice of cheeses. All sounded totally yummy, and we had a hard time picking a dish. Finally we ordered beans, meat balls and tuna steak. Everything was delicious beyond words. But if I had to choose one star dish, it would be meat balls in a tomato sauce served with mashed potatoes. And you know what part I loved the most: a cook preparing my mashed potatoes using a home mixer; just like my mum does. We drank white table wine Bogdanuša Carević from the island of Hvar. At 7 Kn a glass it was a bargain. They serve tap water, and don't try to sell you bottled water. The total bill was 270 Kn for four of us. Cheaper than a pizza. If you are looking for only one place to have a meal in Split, make it Villa Spiza. You won't regret it. Villa Spiza is cash only place, and it's closed on Sunday. Delivery available. 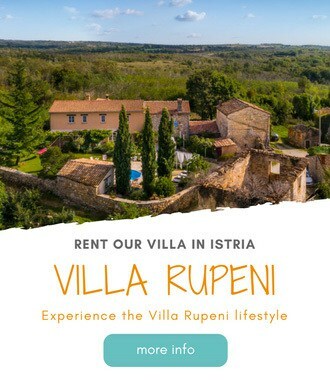 Have you been to Villa Spiza Split? Are you tempted to go? Let us know in the comments below. we have received good feedback regards to your Restaurant & Service from our guest.